This lovely historic home is comfortably elegant. Each room is individually decorated with antiques, collectibles and old photographs. The porch with its swing and quaint seating offers the ideal place for breakfast or relaxing. 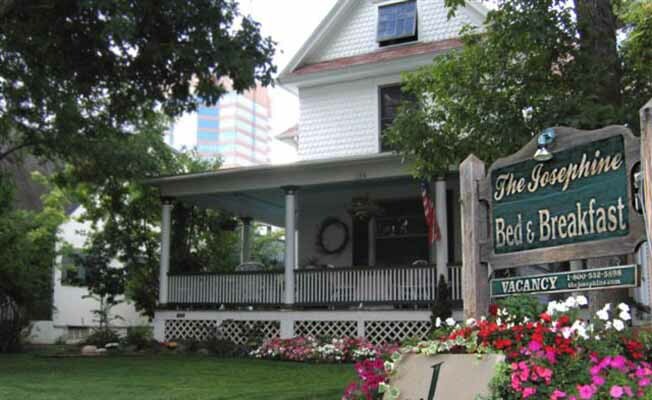 All rooms have private baths, with modem friendly phones, air conditioning and cable TV. We also provide guest passes to the YMCA, rapid Internet access, full gourmet breakfast and cater to special dietary needs. One suite has a Jacuzzi. Within walking distance of downtown museums, galleries, theaters and shopping. Only minutes from airport, horse racing, rodeos, golf courses and historic attractions. One hour to skiing and Little Big Horn Battlefield. Non-smoking environment. No pets.